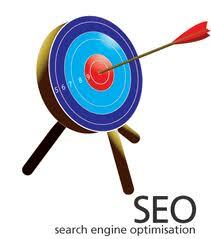 Search engine optimization is essential to get your website to rank high in page rankings. You have to utilize SEO to make sure your website stands out from the millions of websites on the internet. You can do your own SEO but it can be time consuming if you don’t know what you are doing and if you are using SEO incorrectly, you could be doing more harm than good to your website. Outsourcing your SEO can allow you to utilize the ‘know how’ and experience of a knowledgeable SEO company like South Florida based Miami web design. Our web design firm understands search engine optimization. We offer a wide variety of services from keyword optimization to blogs, articles and social networking. We offer cost effective strategies for you and your business that can grow over time, benefiting your company by increasing your bottom line. Call us at (305) 937-2526 or visit us at http://www.aws3.comfor a custom designed solution for your business.